Any changes to the MOC process should not result in significantly increased cost or burden to physician participants (such as systems that mandate continuous documentation or require annual milestones). 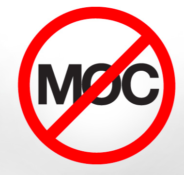 The MOC program should not be a mandated requirement for state licensure, credentialing, reimbursement, insurance panel participation, medical staff membership, or employment. Many physicians have rebelled against compulsory MOC and have succeeded in getting the attention of their state legislatures. The state of Oklahoma passed a law in April, 2016, stating that nothing in its laws concerning medical practice shall be construed to make MOC “a condition of licensure, reimbursement, employment, or admitting privileges at a hospital in this state.” Kentucky’s governor signed a more limited measure that forbids making MOC a condition of state licensure. Other states are considering joining Oklahoma as “Right to Care” states. A good example proving Dr. Mathew’s point is a recent editorial defending MOC in the New England Journal of Medicine (NEJM). The co-authors have close ties to the American Board of Internal Medicine (ABIM) and its foundation, which have been mired in financial scandal. It would be hard to defend a claim to scholarly objectivity. Dr. Mathew and I are both unpaid, voluntary board members of the National Board of Physicians and Surgeons (NBPAS), an organization founded two years ago by Paul Teirstein, MD, a cardiologist at the Scripps Clinic in La Jolla. Dr. Teirstein’s frustration with ABIM’s expensive MOC requirements led him first to create a web-based petition that rapidly accumulated more than 19,000 physician signatures. He then founded NPBAS as a grass-roots physicians’ organization, offering a cost-effective alternative pathway for board-certified physicians to demonstrate their commitment to continuing medical education (CME) while bypassing the ABMS and MOC. The challenge, of course, for NBPAS is to achieve recognition by hospitals and insurers, which is a slow process. But progress has been made, as thousands of board-certified physicians (myself included) have earned two-year NBPAS certificates, and thousands more are in the process. To the credit of the American Board of Anesthesiology (ABA), it was one of the first boards to pay attention to the discontent of its diplomates. In May, 2015, it convened a two-day summit to consider redesign of its Maintenance of Certification in Anesthesiology Program (MOCA), and concluded that its ten-year “high-stakes MOC exam is not the most effective way to help its board-certified physicians learn and retain medical knowledge.” The ABA decided to embrace “multiple learning techniques”, and introduced the “MOCA Minute” program, where physicians must answer 30 online questions each calendar quarter or 120 questions annually. This new approach has not brought with it any decrease in cost to participants. I might be tempted to enroll in the “MOCA Minute” program if I didn’t think that it would be equivalent to stepping in quicksand, and that extrication would be impossible. After watching residents doing practice multiple-choice questions for years, I’ve reached the conclusion that their time would be better spent reading a good basic anesthesiology textbook and review articles in major journals. The inherent problem with all the multiple-choice questions is that the resident ends up reading three or four wrong answers for every correct one. No wonder they become confused. They would be better off reading only correct information. “Interpersonal and Communication Skills: Demonstrate skills that result in effective information exchange and teaming with patients, their families and professional associates (e.g. fostering a therapeutic relationship that is ethically sound, uses effective listening skills with non-verbal and verbal communication; working as both a team member and at times as a leader). These are qualities that we all needed to learn and incorporate into our daily practice long before we were board-certified. If you didn’t have an inherent sense of ethical conduct and personal responsibility before you left elementary school, nothing the ABA does is going to change you. If you can’t communicate, a multiple-choice test won’t help. These topics are not properly the business of continuing medical education. If MOCA is truly valuable, then the ABA should have enough confidence in its product not to make it mandatory. It should compete in the CME marketplace with meetings, journals, online materials, and every other CME product. Board-certified physicians should be able to choose among all these to demonstrate “lifelong learning” and renew their time-limited certification. It’s time to make it clear to the ABMS that we’re not its indentured servants. The time to do that is now, before it gains any more ground in making our right to work dependent on surrender to MOC. I agree. I also have non-time limited board certification, but feel that my younger colleagues are subjected to an overly burdensome, costly and ineffective process. Let’s make our voices heard. I could not agree more. I faithfully did my MOCA 2.0 activities for the past year to honestly judge their utility to me as a physician and to my patients. I thought the MOCA minute was a poorly-executed, low-quality activity. The ASA already publishes the ACE and SEE programs which seem to serve the same purpose. MOC has never been proven to improve outcomes. I stay current out of duty to the community I serve, not because a paternalistic board holds a financial gun to my head and tells me to comply and pay it my practice tax of $210/year. That is extortion, pure and simple. I will not be participating in MOCA any longer, and am proud of my ongoing boards certification by NBPAS. Thank you, Dr. Sibert, for calling attention to this issue. I also agree. My certification is not time-delimited and unless somebody holds a loaded gun to my head I will never sign up for MOC. It’s also interesting the AMA finally has taken a position I agree with. I resigned the AMA as a medical student after they provided their biographical data tapes to DOD effectively registering me for a draft I had no statutory requirement to register for being born in the latter part of 1959. Every decision they’ve promulgated until now specifically including the ACA has reinforced that my judgement before I even became a doctor was and still is sound. Every so often I get a “dues statement” from them that goes to the circular file. NBPAS is an interesting alternative and I’ll look into it. I do applaud Dr Sibert for the article, she is spot-on. I, too, am a BC Anesthesiologist who is not time limited, but until 12.31.2016 was also BC in Pain Management as well. I did a lot of soul seaching on whether I wanted to re-certify, and was more than a little perturbed that had my pain certification expired on 1.1.2017, I would have been eligible for the more CME-based program to maintain certification. As a consequence, I elected to join the NBPAS, which requires precisely that…a CME-based program. As I’ve explained to colleagues about my decision, I like many of them, took written then oral anesthesia boards, then written pain boards in 1996/2006, and then took the AmBoard of Pain Medicine boards in 1998 (non time limited). I think I’ve proven that I can write a $2100 check for the exam, another $1100 for a review course, take countless hours away from my family/personal time to study, close my private practice a week to get holed up alone in a hotel to study just before the exam, then pass an exam. And, in a few months, forget everything I’ve learn about a given drugs effect on the rat hippocampus. The thought that members of the ABMS board are collecting huge salaries, while exempting themselves from the pain they are inflicting on me, only adds insult to injury. So unless I am coerced by hospital to be BC Pain, or I face further drop in reimbursement by insurance by not being BC Pain, as of now, I am choosing not to get (what would be my third time) BC in pain again…at least by the ABMS. Hi Karen, I think you raise some excellent points and it is good to question. As a participant in MOCA and as someone who runs simulation courses for MOCA and there purposes I have a reasonable insiders perspective (as well as an obvious conflict of interest). I participated in MOCA 1 for a cycle before MOCA 2.0. MOCA 2.0 is not very expensive and, for the most part, it doesn’t go beyond what it takes to maintain a state medical license or hospital credentials. Admitedly, MOCA minute and MOCA part 4 add a fair amount of burden, but it is ripe with professional development opportunity. In my experience MOCA minute is a valuable way to probe for actionable knowledge deficits. The questions have a short commentary and reference list that I have used more than once. I have implemented change around new practices that were in direct conflict with the dogma of my training years. Personally, I appreciate a little curated content in the world of information overload. MOCA part 4 is another story. Now there are many opportunities for earning MOCA part 4 credit, and many or them will grant credit for improvement projects that one is already doing. It can also be done in teams. Some of the opportunities cost nothing, but others, such as simulation are costly. I am not looking for more regulation, but I would defend MOCA as regulation that produces positive results. I’d also rather we as a community of physicians police ourselves instead of creating a void for other external bodies to step in and take it to the next level. Physicians are organizing and will be moving toward exposing the corruption and self-dealing of these organizations that have led to anti-trust actions, We will request investigations by the IRS, OIG of the Department of Health and Human Services, and Department of Justice. Robert W. Vera, M. D.
I think if the Boards wish to continue to have the power to certify us, they should stop picking out articles for us to read. Seeing patients and being in the operating room 80-100 hours a week and then going to a computer screen to figure out tables and graphs is NOT EDUCATIONAL. MOC becomes the enemy of whatever time you have left for your family, living a life and paying bills, being a friend and relative. Soon, the objective becomes looking for answers to complete the test as fast as possible. Those on the Board should read the articles and then write a summary of what they think is important and what they think we should know. I would complete this. Then click “summary read” and move on to the next summary. Personally, I like the idea of having multiple venues of Cme to choose from, allowing some of us to get away from the practice for 2-3 days to attend lectures, if that’s our choice. In the end, the Medical societies could have done a lot more to protect us from this government and third party invasion into medicine, but they didn’t. They rolled over and gave up control. Bureaucrats running medicine and it’s finances has given them all our authority and none of our responsibility. I have a certification in Internal Medicine that is not time limited. I will never participate in MOC. My husband was Board Certified in Family Medicine which expects repeated testing, but he brushed it off. One hospital suddenly decided this was a big deal and told him he needed to take the test in order to retain privileges. The Board wanted him to pay for all the tests he missed before they would allow him to sit for the current test. that’s what the members of the AMA, ACGME, Specialty Colleges and academics are. TOOLS, interested in their income, stature and professional advancement. Boards are a joke, useless and serve no purpose. But US medical system has become the most corrupt business in the US due to these tools. Inform the media to investigate these organizations.